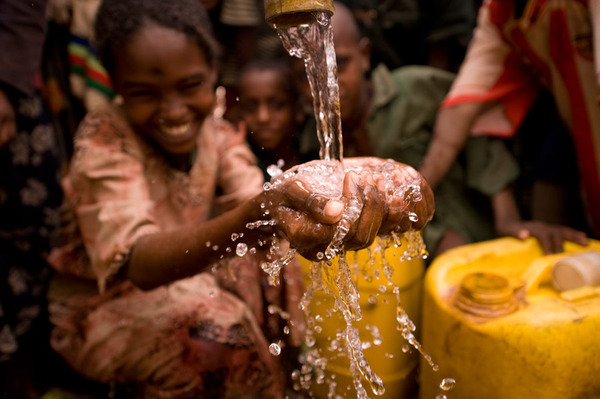 1 billion people around the globe lack access to safe drinking water. 1 billion is a number I really don't understand. But I can understand a mom having to hold up her baby's polluted bottle. Praying she doesn't get sick. Or lose her. And I can understand that clean water isn't that complicated. There are some amazing organizations...people taking down that number of without, and stacking up those with. People who are relentless and obsessed and called to remedy. I like to support these kind of people. I started a campaign, to build a well. It's about half-way there and I'd love your help to get it finished. It'll take you about 2-minutes and for as little $12 you can give water to someone who desperately needs it.